Your home’s water heater is one of the most crucial plumbing fixtures you have access to. Without hot water, you cannot comfortably shower, bathe, wash dishes, or clean. Keeping the water heater in top condition is not just a recommendation but a must. A tankless water heating system requires numerous moving parts and electrical components. Typically, there are more repairs and maintenance required. Being so complicated, you’ll need an expert plumber to handle repairs. Like any plumbing fixture, professional installation is a requirement. To alleviate potential issues and cut down on long-term repair costs, allow Emergency Plumbing & Solar to perform your tankless water heater installation. Over time, whether due to wear and tear or negligence, your tankless system may break down. When repairs are simply not sufficient enough to solve an issue, a replacement may work. Like repairs and installations, replacements should be completed by the skilled hands of a professional. At Emergency Plumbing & Solar, we recommend preventative maintenance on all plumbing systems and fixtures in your home. With a tankless water heater, maintenance is especially necessary. A tankless system is designed for moving parts and electrical systems. As such, it requires more care than a conventional water heater. When maintained correctly, you’ll enjoy increased savings and lower energy use per month. 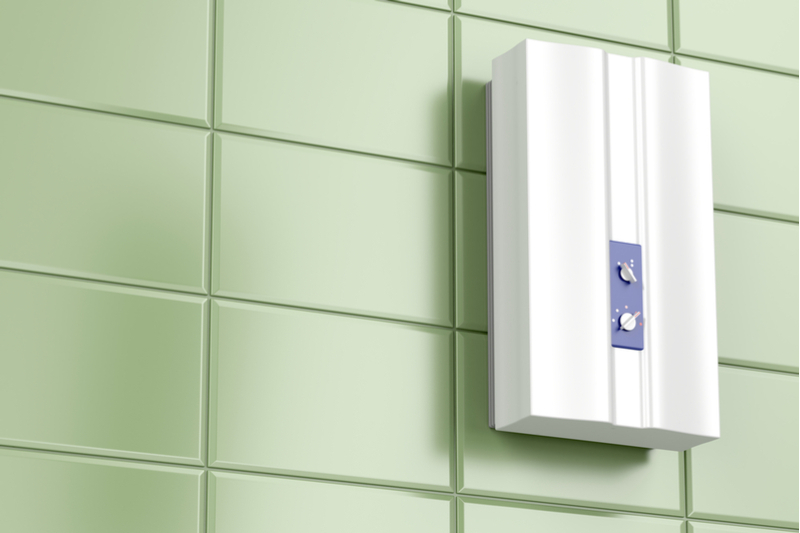 Furthermore, a tankless system requires less space in your home. It’s a win-win all around! Instant hot water – As soon as cooler water flushes out of the faucet, nice, steamy, hot water is available! Longer lifespan – Tankless water heaters last twice as long as conventional water heaters. Lower monthly costs – Tankless water heaters are 22% more efficient than conventional water heaters. Space saving – Tankless water heaters are much smaller than conventional water heaters, so if you have a small home, they may be the ideal choice. Reduce the chance of water damage – Smaller tanks mean less water is flowing through the system, which means less possibility of flooding. More expensive – Tankless water heaters may save you money in the long run, but their initial cost is at least double the price of conventional water heaters. Additional equipment – You may need a water softener as well, which adds to the initial cost. More maintenance – Tankless water heaters are more complicated, so if something goes wrong, you need a professional to fix it. Luckily, your friends at Emergency Plumbing & Solar are available 24/7! Less water available – Since they’re smaller, tankless water heaters may not be able to provide all the hot water you need at the same time (meaning, running the shower and the dishwasher simultaneously may be an issue). That’s why some people install more than one in their home or business. If you need assistance choosing the right type of water heater for your home or business, ask the experts at Emergency Plumbing & Solar. We’re here to help 24/7! To schedule tankless water heater services, contact Emergency Plumbing & Solar by calling 808-691-9309. Once you give us a call, we’ll dispatch a plumbing technician to your doorstep promptly. In fact, we’ll ensure you’re all set, whether we perform repairs, maintenance, or installations! Tankless Water heater Overall rating: 5 out of 5 based on 10 reviews.